The battle that defined Britain. 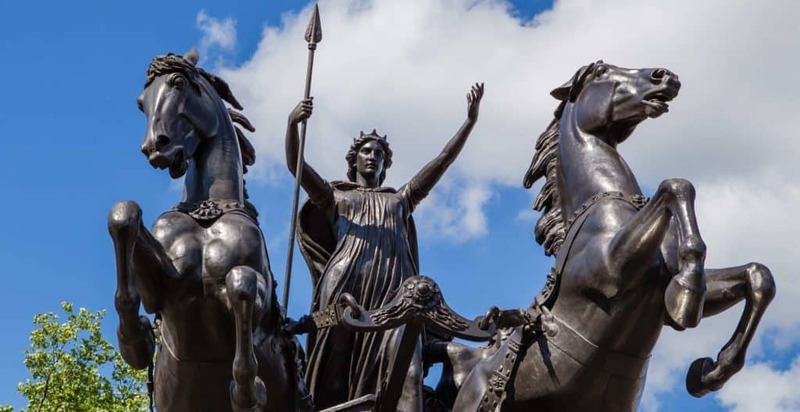 When you think of pivotal battles that shaped the course of Britain, what first comes to mind? The Battle of Hastings and the Norman invasion in 1066? The Battle of Agincourt? Perhaps it’s the Battle of Bosworth Field that ended the Wars of the Roses in 1485? Whatever it might be, the chances are that The Battle of Brunanburh wasn’t the first that sprung to mind! Curiously, it was The Battle of Brunanburh that defined the countries that we now know as England, Scotland and Wales. At the time of the battle in 937, Britain was a divided nation, ruled by several Kings and Earls all vying for land and power. In the far north there were the Celts, divided into two main Kingdoms; Alba (mainly in Scotland) led by Constantine, and Strathclyde (nowadays SW Scotland, Cumbria and parts of Wales) ruled by Owein. At the same time, Northern England was ruled by a set of Norse Earls of Viking decent, together known as the Earls of Northumberland. The Norse also held power over much of Ireland and were led by Olaf Guthfrithsson, The King of Dublin. The final group, the Anglo Saxons, controlled the majority of central and southern England. Headed up by King Athelstan of Wessex, the Anglo Saxon fiefdoms at this time were merely an alliance and not yet united under a single King. Since the late 8th century, invading Vikings from Scandinavia had been pushing southwards and encroaching into Anglo-Saxon territory. At the same time, the Anglo Saxons had been consolidating their territory in the south, forging alliances between the fiefdoms, holding the Vikings back from the north and pushing the Celts further into the West. All of this came to a head in 928AD, when the Anglo Saxons led by Athelstan attempted to repel further Viking encroachment by taking a pre-emptive strike against the Viking Kingdom of York. The battle was a victory for the Anglo Saxons, although this led the nearby Celtic king Constantine to become increasingly concerned over his monarchy; after all, if Athelstan had attacked the Vikings at York, what would stop him continuing north and challenging Celtic territory? He immediately reacted, and began forging links with neighbouring kingdoms. To build links with the Norse, Constantine married his daughter to Olaf Gutherfrithsson, the King of Dublin. This in turn brought both the Irish and Northumbrian Norsemen under his alliance. Building links with the neighbouring Celtic kingdom was much easier, as Owen of Strathclyde was related to Constantine and took little persuasion to join in a pre-emptive strike against Athelstan. Much is still unknown about the battle – historians are even divided on where Brunanbruh is actually located! Many suggestions for the location have been made, ranging from Bridgenorth in Shropshire, to Doncaster in South Yorkshire; from close to the Wyre Estuary in Lancashire, to somewhere in Northamptonshire. The strongest contender for Brunanburh however seems to be the village of Bromborough on the Wirral. We do know however that the Celtic/Norse army dug themselves into the battle field with timber-fortified trenches, although these defences were quickly overrun. What is also interesting, albeit hotly debated, is that the Battle of Brunanbruh may well have been the first instance of a British Army ever using cavalry in battle, although this has yet to be indisputably proven. What is known is that Athelstan and the Anglo-Saxon armies had sealed victory, securing the northern borders of England and containing the Celts to the west. Perhaps even more importantly, Athelstan had united the two major Anglo-Saxon kingdoms of Wessex and Mercia, thus creating a single and unified England, a nation that has remained until this very day.